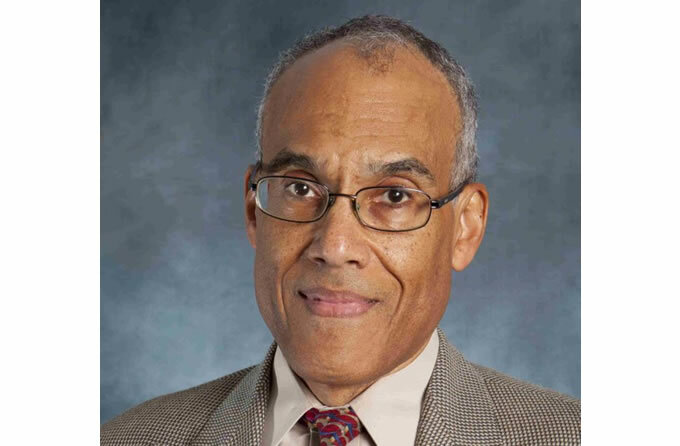 Maryland Addiction Recovery Center is proud to announce the promotion of psychiatrist Alfred Forrester, M.D., L.F.A.P.A, as the new Medical Director for Maryland Addiction Recovery Center. Dr. Forrester will oversee the medical department for MARC and patients in all levels of MARC programming, from the long-term extended care Community Living treatment program as well as community-based outpatient levels of care in Partial Hospitalization (PHP), Intensive Outpatient (IOP) and outpatient. Previously, Dr. Forrester served as a staff psychiatrist for MARC. In his new role, he will continue to work with MARC psychiatrist Dr. Douglas Woodruff, nurse practitioner Gayle Blum, and medical coordinator Colleen Waterfield in collaboration with MARC Clinical Director Dr. Jennifer Richards and her clinical team to provide comprehensive treatment options and approaches for those MARC patients suffering from addiction and co-occurring disorders. Dr. Forrester received his undergraduate degree in psychology from Yale University in 1975 and graduated from the Johns Hopkins University School of Medicine in Baltimore, MD, in 1979. He went on to complete an internship and residency in Internal Medicine at the Mount Auburn Hospital in Cambridge, MA; and a residency in Psychiatry at the Johns Hopkins Medical Institutions, followed by a clinical fellowship in Affective Disorders at the same institution. He has received academic appointments at Harvard Medical School, the Institute of Psychiatry and Human Behavior at the University of Maryland School of Medicine, and the Department of Psychiatry and Behavioral Sciences at the Johns Hopkins University School of Medicine. Board-certified by the American Board of Psychiatry and Neurology, Dr. Forrester has a breadth of clinical and research experience encompassing both public and private sectors, in academic, inner city clinic, hospital, and outpatient private practice settings. He has provided internal medical support on the inpatient services at the Bon Secours Hospital in Baltimore, MD; he has been a full-time attending psychiatrist at the Johns Hopkins Medical Institutions and the Sheppard and Enoch Pratt Hospital; he was the first Director of Psychiatric Services at the Chase-Brexton Health Services; and he addressed mental health and addiction issues among the undergraduate population while serving as a Consulting Psychiatrist at the Towson University Counseling Center. Dr. Forrester has multiple published research articles in the area of affective disorder among populations of patients following myocardial infarction, traumatic brain injury and spinal cord injury; he is a Lifetime Fellow of the American Psychiatric Association and a member of the American Academy of Addiction Psychiatry, the Maryland Psychiatric Society and the American Medical Association; and his achievements have been recognized by Marquis’ Who’s Who in America and the Continental Who’s Who Registry. Dr. Forrester joined the Maryland Addiction Recovery Center staff in 2017 as a staff psychiatrist. He has been instrumental in keeping MARC as the forefront of the changing landscape of addiction medicine and how to implement medication interventions alongside the evidence-based clinical approaches used by the MARC clinical team of therapists. If you or someone you know needs help for addiction or dual diagnosis issues, please give us a call. Maryland Addiction Recovery Center offers the most comprehensive dual diagnosis addiction treatment in the Mid-Atlantic area. If we aren’t the best fit for you or your loved one, we will take the necessary time to work with you to find a treatment center or provider that better fits your needs. Please give us a call at (410) 773-0500 or email our team at info@marylandaddictionrecovery.com. For more information on all of our drug addiction, alcohol addiction and co-occurring disorder services and recovery resources, please visit our website at www.marylandaddictionrecovery.com. Are you looking for treatment for yourself or someone else?